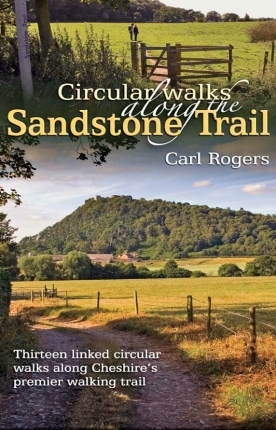 The Sandstone Trail runs through a long-established rural landscape rich in history, folklore and myth. 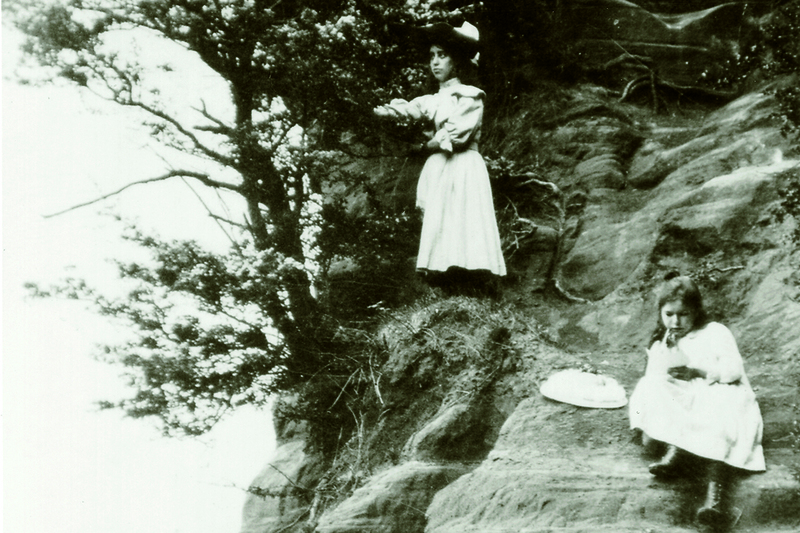 South of Overton Hill, a flight of steps called Jacob’s Ladder — after the biblical ‘stairway to heaven’ — was cut into the cliffs in Victorian times for the precarious descent into Dunsdale Hollow. Look carefully at the Ordnance Survey map close to New Pale Road at Manley Common, and you’ll see the oval outline of a 17th century deer park. The New Pale was a ditched and paling-fenced enclosure created under license from the King and stocked with wild deer from the forest. In 1337, the Black Prince ordered his head forester to enclose some 450 acres of land around Eddisbury hillfort to preserve ‘vert and venison’. Known as the Old Pale, the enclosure later housed a stone lodge on Merrick’s Hill, called the ‘Chamber in the Forest’. A section of Watling Street — the Roman road between Chester (Deva) and Manchester (Mamucium) — can still be explored in Nettleford Wood and Organsdale Field, above the modern A51, near Kelsall. Hidden by trees, atmospheric Urchin’s Kitchen is a glacial drainage channel formed towards the close of the last Ice Age. The 20-30 feet deep, meandering water worn gorge is wider at the base than the top — which suggests it was probably scoured out under immense pressure beneath a hugebut unknown depth of ice. Long lost Whistlebitch Well at the far end of Primrosehill Wood was once a famous Elizabethan health spa. A green lane, known locally as Old Gypsy Lane, runs southeast from Wood Lane towards Fishers Green and Tarporley. It was once a popular stopping place for the old travelling people. Between 1878 and 1939, the fields to the west of Gullet Lane and Ash Wood were the site of Tarporley Racecourse. Held each year on a Wednesday in April, the Tarporley Hunt Steeplechase was once the largest and most fashionable event in Cheshire’s sporting calendar. Hidden among the trees at Iddenshall Rough 43 is the 1.6 hectare/4 acre moated site of a Saxon and medieval monastic grange that once belonged to Chester Abbey. Pudding Lane is named after a curious local incident. A large pudding was traditionally cooked for the nearby annual fair at Bunbury Wakes. When gallons of milk started to vanish from Tiverton Hall the farmer became suspicious and searched his workers’ cottages. He found the missing milk hidden in a chest of drawers. When the story got out, delighted locals promptly renamed the nearby track Pudding Lane. On the evening of 27th October 1913, Stonehouse Lane was battered by the freak Peckforton Cyclone. According to a contemporary eyewitness, a dark column of spinning air approached from the south, accompanied by thunder, lightning and torrential rain. Still cobbled in parts, Hill Lane — known locally as the ‘Elephant Track’ — is an ancient packhorse route and salters’ way—a short cut over the hills between the Cheshire ‘wiches’, or salt towns, and the old bridges over the Dee to Wales, at Farndon and Chester. Originally called the ‘dripping stone’, the Droppingstone Well has provided water for nearby farms and cottages since time immemorial. The Queen’s Parlour is a spectacular, three-chambered cave excavated over the centuries by enterprising people scraping out its soft pale sand. The modern A534 Wrexham-Nantwich road is known locally as Salters Lane. Previously called ‘Walchmonstreet’ or Walesmonsway, it was a ‘route for the trade in salt between the Cheshire ‘wiches’ and Wales’. Gallantry Bank was originally called Gallows’ Tree Bank. The body of a local man named Holford hung for stabbing a rival was gibbeted here in 1640. Now partially fallen in, Mad Allen’s Hole is a two-storey cave, complete with a stone shelf and chimney, once occupied by heartbroken John Harris of Handley. Hampton Post was a well-known hilltop staging post and inn on the old London to Chester coach road. The delightful timber-framed Blue Bell Inn at Bell o’ the Hill, near Tushingham, is one of Cheshire’s oldest pubs. Shown on Ogilby’s Britannia Roadbook in 1675 as ‘Ye signe of ye bel’, it stands beside the old coach road. It’s said a ghostly duck that once plagued the pub was exorcised and trapped in a bottle – where it still remains, bricked up in the cellar. Now preserved in the British Museum in London, the two-part hinged bronze ‘Malpas Roman Diploma’ was uncovered by ditchers close to Barhill Fall at Tushingham, in 1812. Almost two thousand years earlier, a minor Roman road to Whitchurch (Mediolanum) passed nearby. First recorded in a deed of 1349 and built originally of timber, Old St Chad’s Chapel was rebuilt in 1689-91, and again in 1841. An ancient holy well is mentioned nearby in 1620. 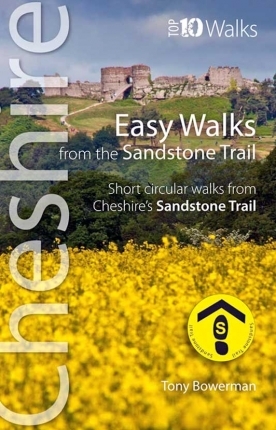 These, and many other local tales, appear in greater detail in the fascinating and definitive guidebook, Walking Cheshire’s Sandstone Trail. 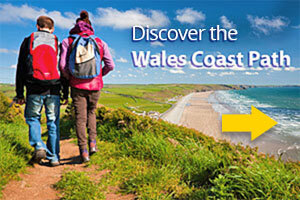 Or for more thrilling Cheshire walks, buy a copy of Walks in Mysterious Cheshire and Wirral. It’s freaky! 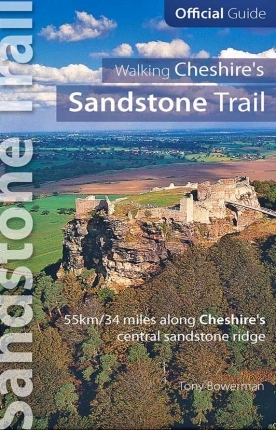 The Sandstone Trail website is run by Northern Eye Books Limited — publishers of inspiring, award-winning walking books for Cheshire and Wirral, including official guides and walking books for the Sandstone Trail — the Lake District, Peak District, Yorkshire Dales, Loch Lomond and The Trossachs, other UK National Parks, Wales and the Wales Coast Path.